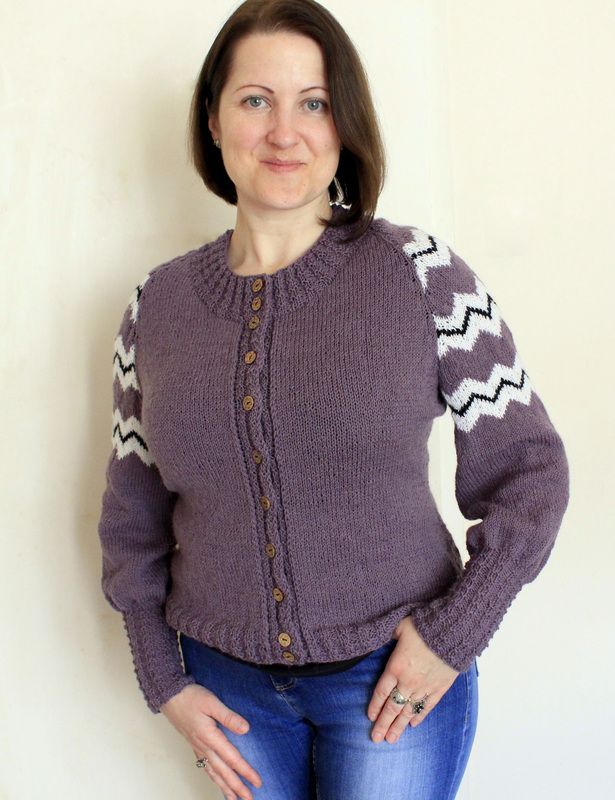 My Amethyst – Chevron Cardigan is finished ! Tadah! 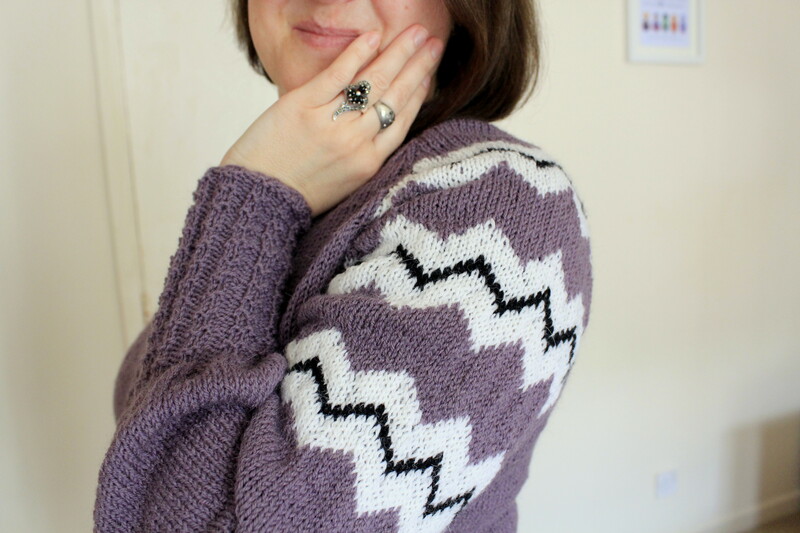 I have finished my Amethyst – Chevron Cardigan! I am quite pleased with the result. The cardigan is very light, but warm. Very pleasant to wear. I worked the neck in the same textured rib as I did the bottom, sleeves and front border. 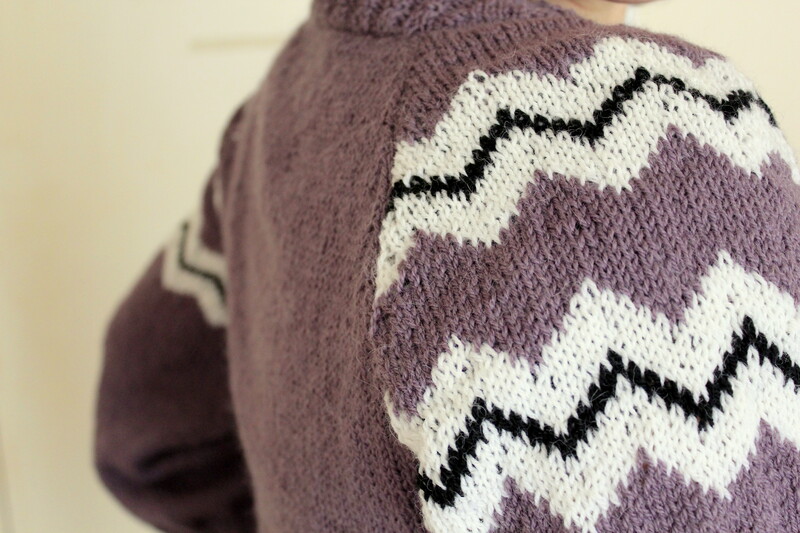 I am knitting the sleeve ribs, bottom ribs and front border of my Amethyst-Chevron Cardigan. 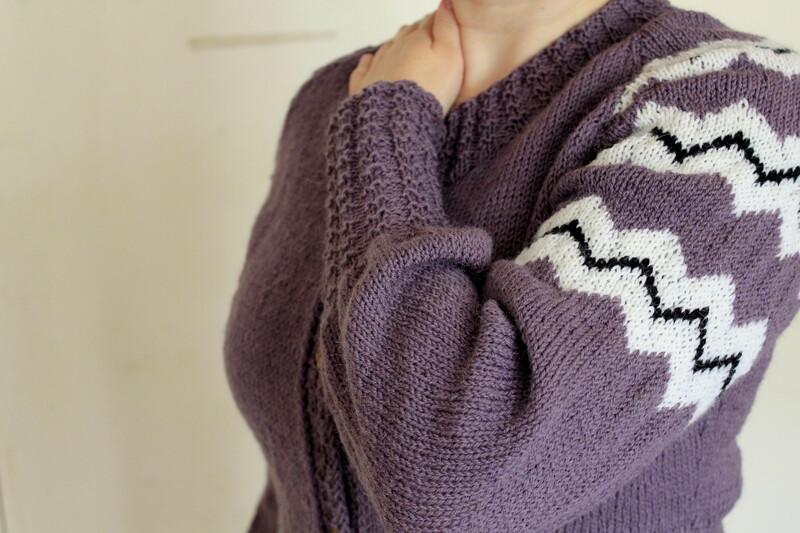 The beauty of knitting the cardigan top down is that I can decide on my rib design at the very late stage of knitting. 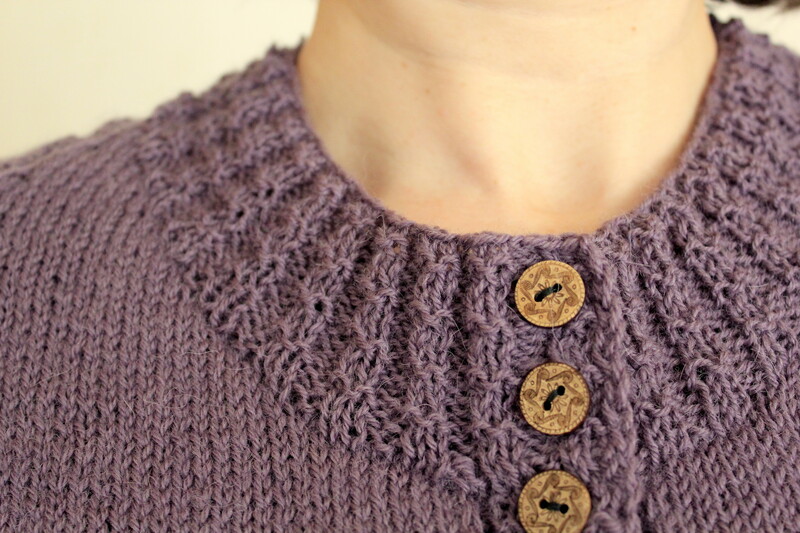 I can see how cardigan looks like, what kind of rib it is asking for. 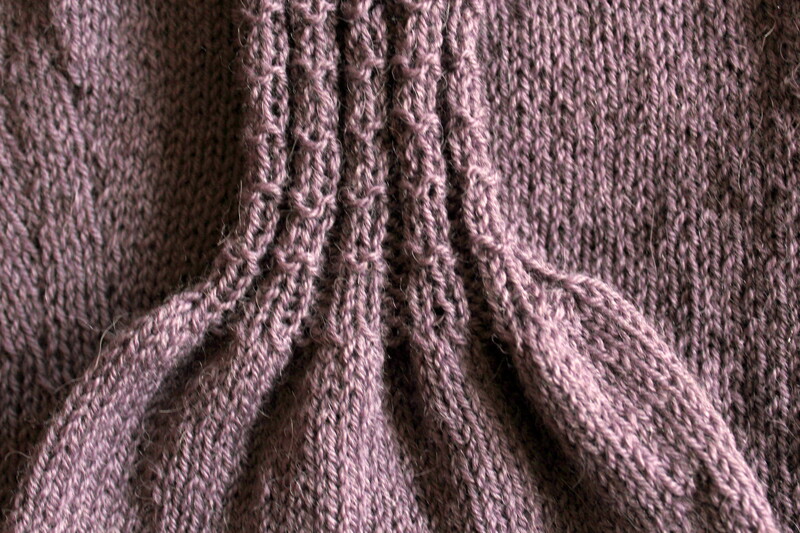 Another very important advantage – the rib will be not too tight, as it happens when we knit from bottom. 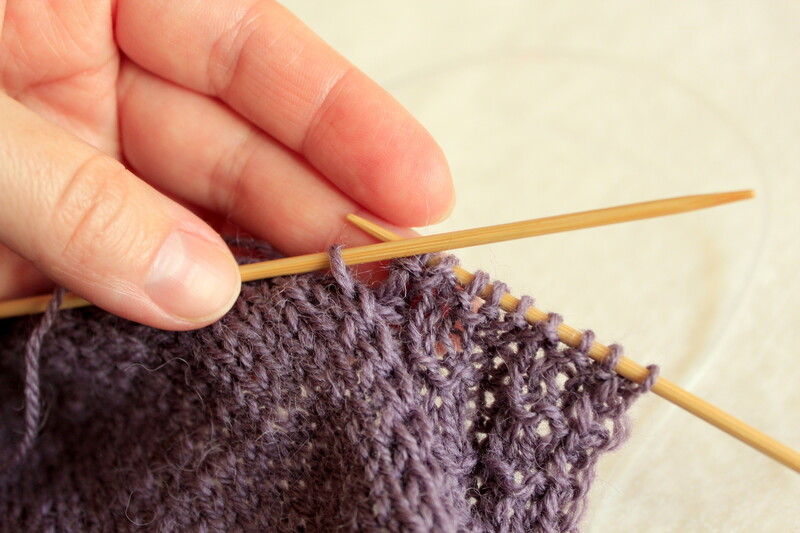 Every knitter knows the first few rows are more tight and then when we get into rhythm of knitting, it loosens. With top down knitting the ribs are last parts we knit. 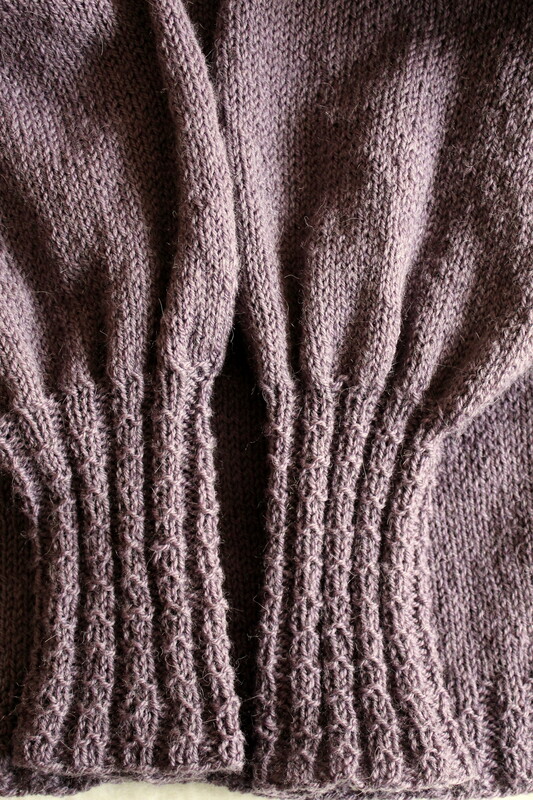 Very bottom of the rib – it is the last rows of knitting. At the time of binding of we can make the last row as loose or tight as we want. 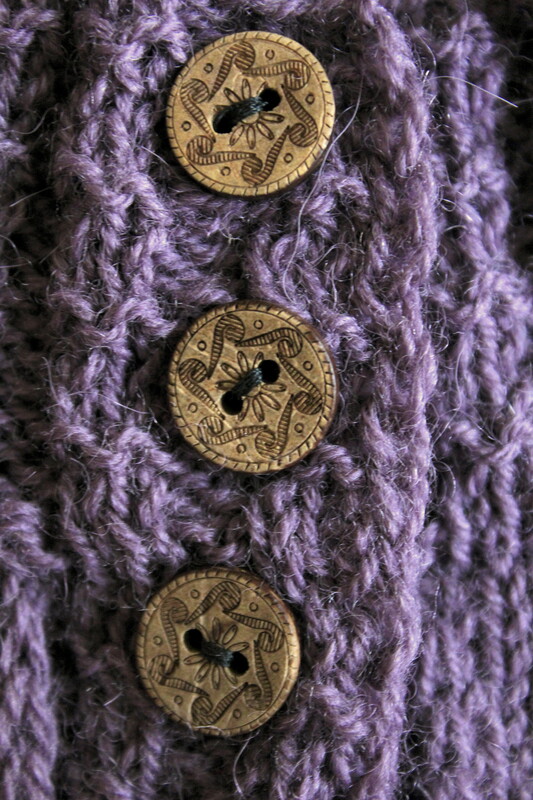 For this cardigan I chose to make textured rib. 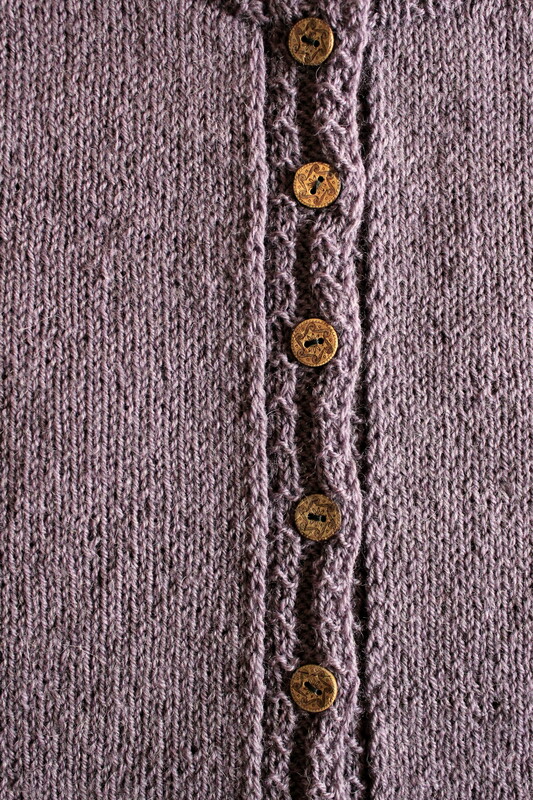 Cardigan is in stockinette stitch, plain, so this kind of rib adds much interest. 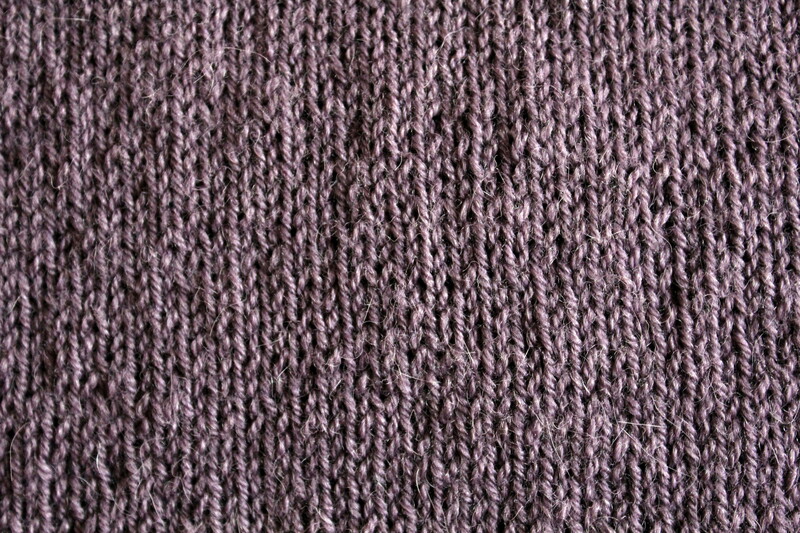 It is very simple to knit: knit 2, purl 2 as normal rib. Only every 4th row (round) on the right side of the knitting purl all stitches. Now when the bottom borders done, it is time for front border. I use the same pattern of the textured rib. 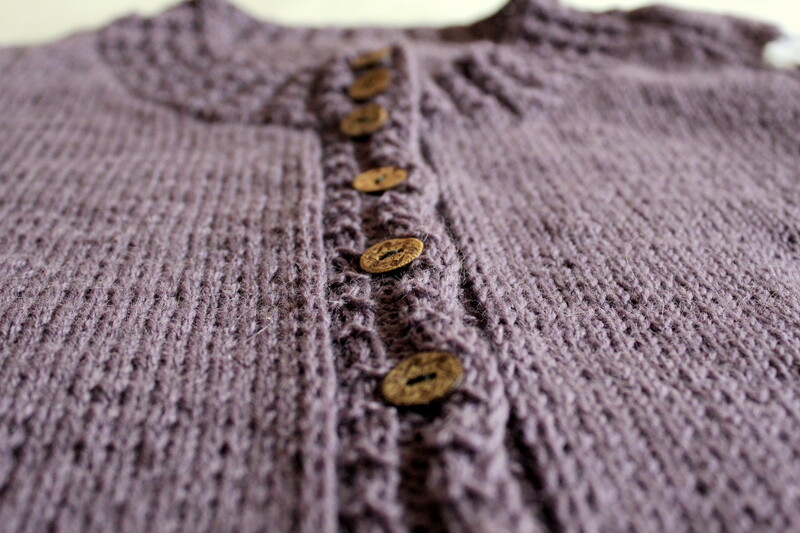 What I do differently – I knit it not horizontally as usual, but vertically – top down as well. I want my borders on the both sides to be ideally the same size (length). 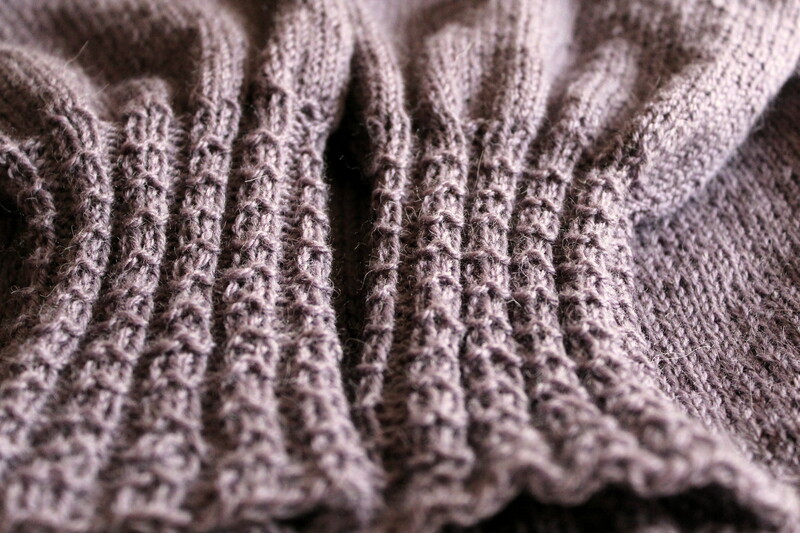 When we knit in usual way – picking the stitches from the edge of the front, it is quite difficult to achieve this. 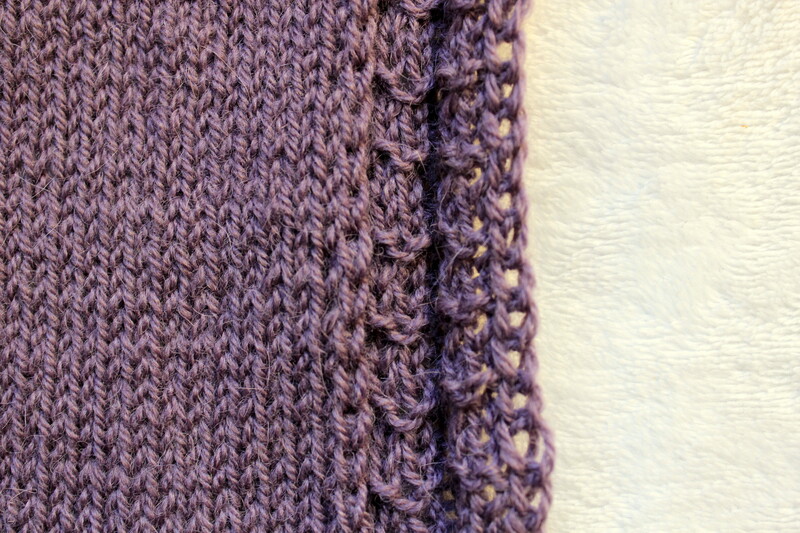 First, it is quite tricky to pick the right amount of stitches to have not too tight or not too loose border. Second, if you picked the right amount of stitches on one side, it is not as easy to pick the same amount on the other side). With the vertical border these problems do not exist 🙂 ! 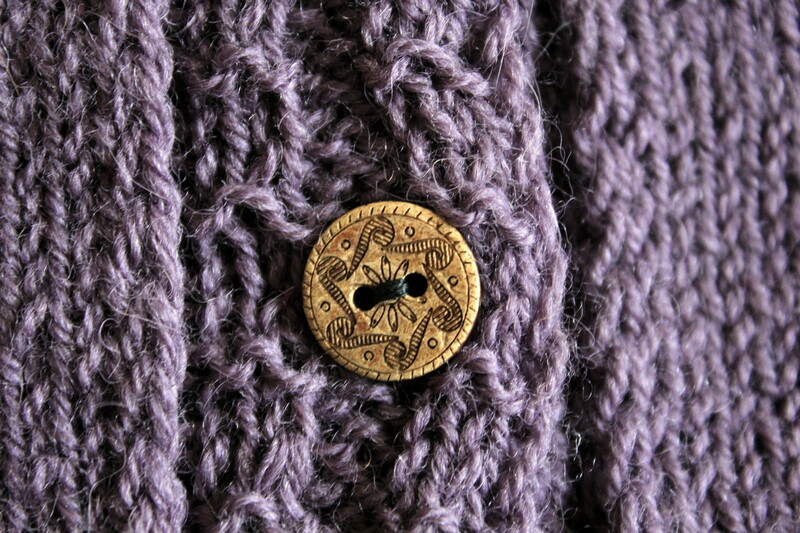 For this cardigan I cast on 10 stitches (that is the width of my border): slip edge stitch, purl 1, knit2, purl2, knit2, purl1, slip the last stitch, yo, pick the stitch from the side of cardigan, pull the new stitch through the slip stitch. Turn around. 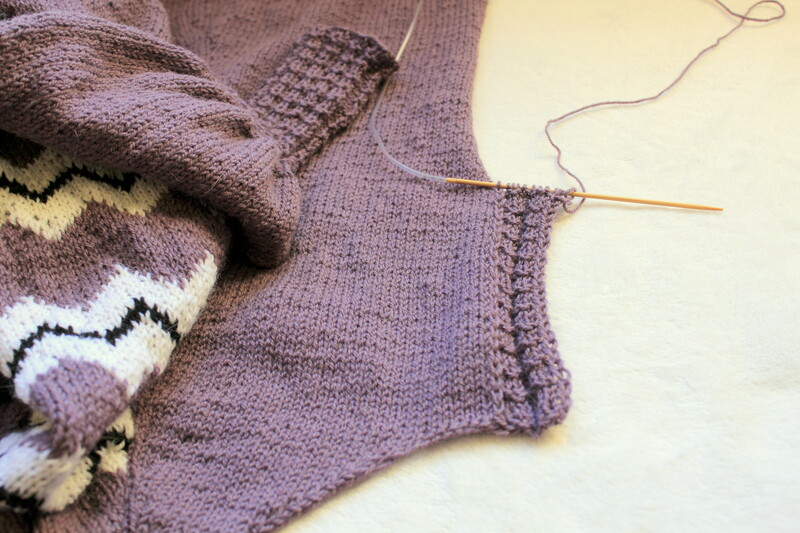 In this way we knit one row of our border and pick the last stitch from the row of the cardigan. 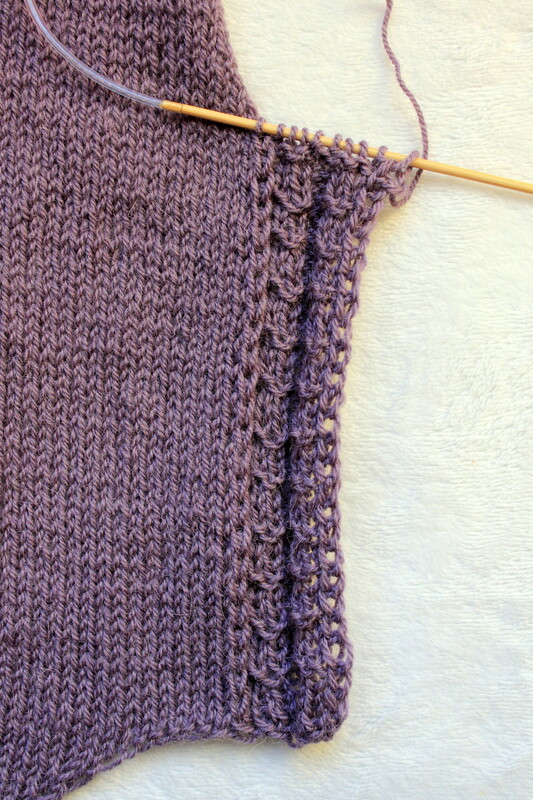 That’s how the length of the border will be the perfect – one row of the border = one row of cardigan body. When we knit another side, our border will be exactly the same size (length), because it is the same quantity of rows in cardigan body. 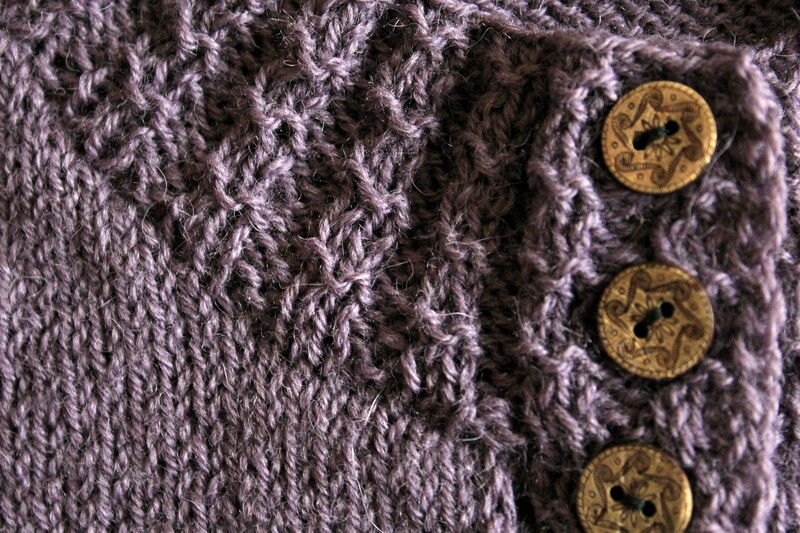 Remember, we knitted fronts and back of cardigan in one piece, so it is impossible to have different amount of rows. There is another bonus of this vertical border – it is flattering as well, because it creates the line which runs vertical on the body!